The purpose of SLDESUTO-BOX is to use unique technology and knowledge within image analysis and based on market demand, develop a Decision Support Toolbox (DST). The DTS will support the pathologists in their challenging task to diagnose and evaluate the prognosis of different types of cancer. The DST will consist of a variety of tools that will be based on learning models for image analysis, trained according to different sub-specialties within pathology. Furthermore, we will also build a reference database, enabling pathologist access to verified reference cases with known clinical outcome. Knowledge development within the field of digital pathology image analysis and the integration of technologies in the routine digital pathology workflow. SLDESUTO-BOX is a joint project between the R&D focused SME, Contextvision AB, in Linköping, Sweden and the eHealth unit of HES-SO, University of Applied Sciences Western Switzerland in Sierre, Switzerland. State-of-the-art machine learning algorithms including Deep Learning will be used to train the software to automatically recognize, identify and classify abnormal patterns in the digital images with a variety of pathologies. 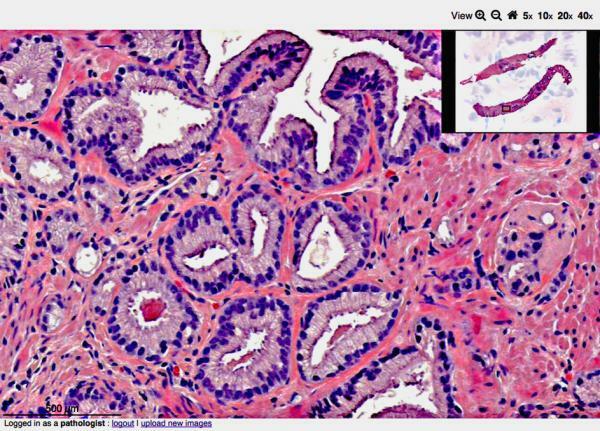 This software can then be used by pathologists to contribute to better and more efficient diagnoses. The work packages will be managed in the project using a SCRUM based approach.